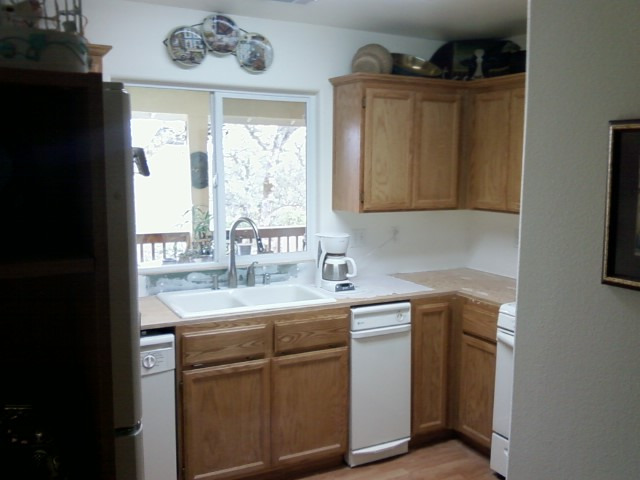 The kitchen involved the removal of existing tile counters, replacing a corner base cabinet with a lazy Susan, installing new granite counter tops, and replacing the sink and valve assembly. In the bathroom, the tub and shower surround was replaced with a new fiberglass walk-in shower, that included a new valve, shower head and aluminum framed sliding glass door. In the Master Bedroom the window was removed, the opening enlarged, and a new sliding glass door installed. 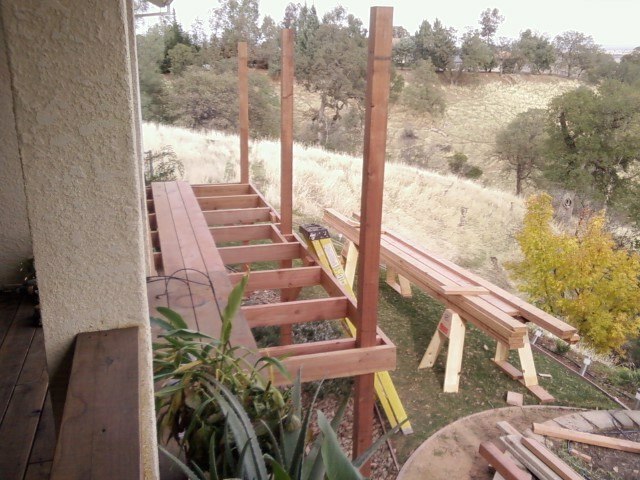 Outside, the redwood deck was extended to create a landing and access to the main deck. These and a few other modifications were the result of discussions with an owner who in the past had been disappointed by a contractor with a “my way” mentality. Rather than spend the time trying to understnad the owner’s preferences, interests and budget, it was easier and less hassle to provide what was familiar. Early in our discussions the owner showed caution and hesitancy, it took 3-visits to listen and respond with enough valid information to earn her trust. The time spent resulted in a negotiated contract rather than a bid. Once completed she was very happy with the work performed and the final product. Her comments included, “Steve is a true professional, he communicated all along the way.” From a contractor’s point of view, this positive response was every bit as rewarding as getting paid. Bottom Line: Find a Contractor that UNDERSTANDS your budget and your needs. Granite has become the new standard for Kitchens. Many new suppliers have emerged in our area and it can be challenging trying to select one that fits every customer. A good idea is to select a supplier who can also do the installation. Recently, one of our customers selected granite from a supplier who “recommended” an installer. It was thought they worked together or that the installer was a subcontractor to the supplier. This was not the case and it turned out the supplier wouldn’t ship to the installer for fabrications until the product was paid for in advance. This creates a responsibility issue. Who’s responsible for defects? If it’s the supplier, how do you solve the problem when the installer’s already in the new kitchen with the “finished” materials? The majority of granite companies are also equippled to do installations, finding a good one simply requires asking questions before making a decision.